Lou Sikora, "Bluecoats Souvie Guy," sent this picture. This picture is of Santa just before he left to visit all of the good little drum corps boys and girls on Christmas Eve. 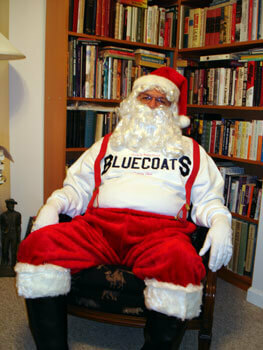 And guess what, he's a Bluecoats fan. Merry Christmas to all and to all a great season.